Weather Projects is an architecture studio founded in 2013 by Shannon Han and Hunter Knight. Based in Los Angeles, we provide design services for architecture, interiors, and furniture. The studio's work focuses on a dialogue between forms and spaces that have the ability to offer society a sense of place, of fascination, and a new way to experience the world. We believe this focus leads to better buildings, communities, and cities for us all to live. Our residential projects create a background for modern life. We work closely and collaboratively with regional real estate developers and private homeowners. Our projects range from individual home renovations and additions to ground up single and multi-unit developments. In recent years our office has focused largely on re-conceptualized homes in and around coastal and hillside zoned communities. We believe our strength lies in complex sites with underutilized assets. Once identified, these assets are maximized through the design for any given space, context, or program. Through this process we are able to improve the health, wellness, and aesthetic qualities of the spaces while adding substantial value to the client’s property. Currently our residential projects are located in Los Angeles and Marin County. By straddling the line between architecture and construction, Alec has developed an understanding of fine detailing and an intimate knowledge of architectural concrete and its nuances. Managing budgets, schedules and subcontractors for multimillion dollar construction projects enabled Alec to develop an appreciation for the ramifications of early design decisions and work within project budgets. We are an architects team standing for innovative ideas and original architectural designs ranging from commercial projects to interiors. AWARD WINNING Trelease Architecture, established in 1991, provides complete architectural services in Los Angeles, Santa Monica, Bel Air and the Westside on multiple building types, including residential, commercial, tenant improvement and educational. Please visit our website to view additional projects. 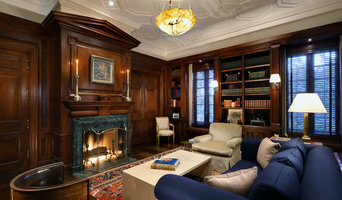 OUR APPROACH is to fulfill the Clients' needs based on their design preferences. How do I find the best Playa Del Rey architect for my home design project? It is best to hire a home architect who will be involved in all phases of the design process, from the initial concept to the completed construction. The architect is often the first person you will hire for your project. If necessary, they might also help you select and hire California subcontractors, which can include the builders, engineers and landscaper. Interior architects are also involved in negotiating contracts for all involved participants. It is for these reasons that it is extremely important for you to have a good relationship with the Playa Del Rey residential architect you hire. He or she can be the tie-breaking vote between you and the general contractor and can be your biggest advocate during the construction process. Different architecture firms in Playa Del Rey, CA provide different services, so the scope of the work can span from pre-design environmental impact studies to selecting furniture and finishes, depending on what your specific needs are. It is very important to hire the right professional for the job. Remember that the most well-known or established designer might not provide the best architectural services for your needs. It all comes down to the individual project. Research and ask people whose work you like for recommendations. It's important to have somewhat of an idea of the style of house architecture that you prefer, as well as the amount you would like to spend. Residential architects in Playa Del Rey, CA are natural problem solvers. They will assess the entire situation and help you to solve your problems too. Don't settle for a single company too early. Call and interview a few. Make sure that you feel like your personalities will mesh well and that you like their professional perspective. 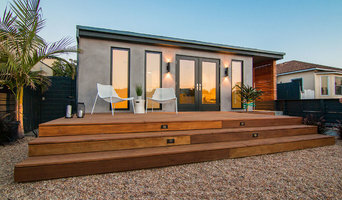 Find a home architect in Playa Del Rey, CA on Houzz. 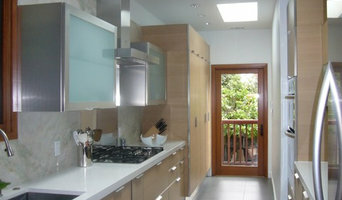 Narrow your search in the Professionals section of the website to Playa Del Rey architects. You may also look through photos of California projects to find interior architects and building designers who have worked on a project similar to yours.